Fans following HBO's Game of Thrones are often referring back to their books, since there are so many characters and plot lines to follow. 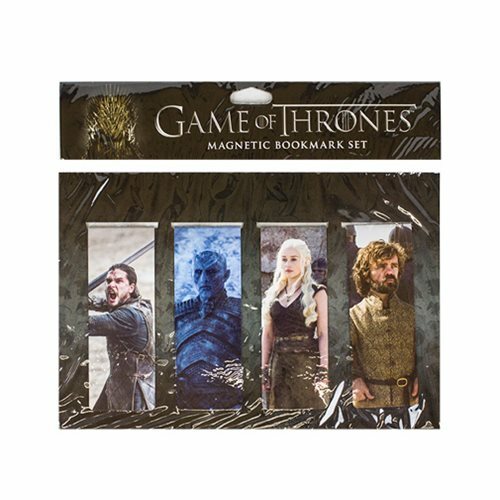 A great way to keep it all straight is by using the Game of Thrones Magnetic Bookmark Set #3! This third edition features newly selected lush color portraits of four favorite characters in updated costumes. Ages 15 and up.